Another year, another Christmas. Citizens of Los Santos can jump online for an assortment of goodies. 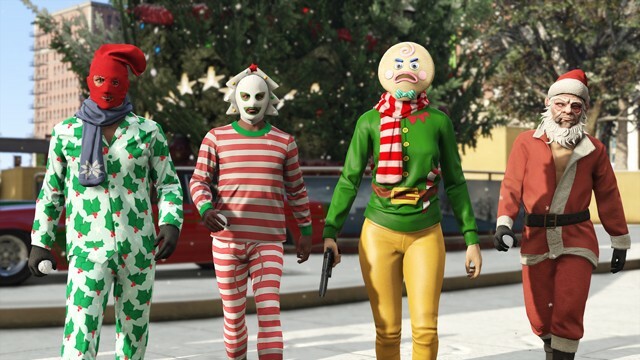 New santa outfits and holiday themed pajamas are up for grabs, an assortment of masks and 3 holiday themed horns for vehicles (All of which are free). Holiday items from the previous years also make a return so be sure to grab those up before the 5th of January. As with the past couple of DLCs, only current generation consoles (Playstation 4, Xbox One, and PC) are being supported.